First, slice the watermelon in half,then remove the flesh and freeze all the watermelon pieces in a bowl. Chuck in the frozen watermelon, berries and sugar in a blender. Before adding in tequila, triple sec and the juice of 2 limes, blend until smooth. Fill the halves up with the cocktail. 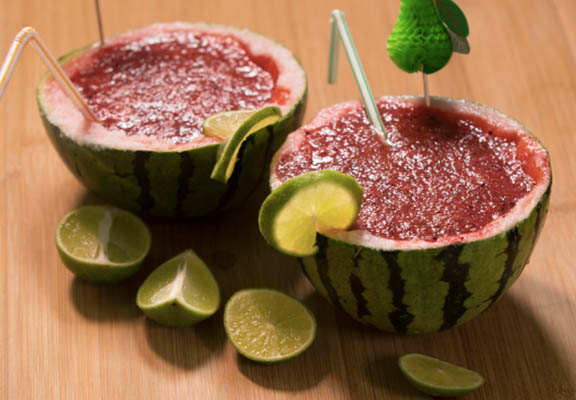 Throw in a straw or two and top with lime segments.